Summer is officially here and we have a wonderful line-up of activities at the Andes Library for the whole family! Thanks to two youth programming grants and one fundraising grant from the O’Connor Foundation, we are able to provide an array of music related events throughout July and August to celebrate this year’s Summer Reading Theme, Libraries Rock! Our summer programs kick off with an annual Ice Cream Social, organized by Mary Davis, on Monday, July 9th from 3 to 6 pm, featuring the “Children Sing and Celebrate Around the World” concert with Emily Ellison from 4 to 5:30 pm. The Views and Vistas Garden Tour will take place July 14th from 11 am to 4 pm in Andes, showcasing some of the best gardens and views in the area. Maps will be available at the library. Wednesday, July 11th – Homemade Instrument Making and Decorating Workshop with Kari Haugeto! Wednesday, July 18th – Instrument Petting Zoo and Rhythms of Life Workshop with Miss Pam. Create improvised percussion soundtracks to books and participate in a drum ensemble! Wednesday, July 25th – Science of Sound Experiments and Creating Electronic Music compositions with Mixcraft and Miss Pam! 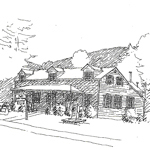 Wednesday, August 1st – Songwriting workshops with Story Laurie! Wednesday, August 8th – Libraries Rock Party with Karaoke, Dancing and Sing-a-longs! Pizza and Snacks provided. Please R.S.V.P. I am also signing up anyone who wishes to take part in a summer reading program. 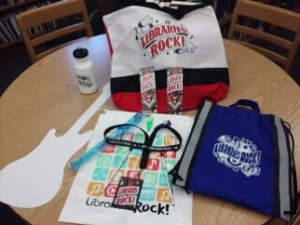 Children and young adults who sign up for a new library card or who show they have an existing library card will receive their very own Reading Rock Star library card holder and VIP lanyard. In addition they will receive a reading record with suggested activities (not just reading) to earn incentive stickers. As they earn stickers they will win incentives like a water bottle, sports bag, pencils, kazoos, and other fun items. Adult patrons who would like to donate $25 can also receive one of our Libraries Rock! Red, Black and White book bags. Patrons purchasing from the book sale can also donate an additional $2 to receive a plastic book bag. Library card applications are available as you walk in the front entrance.